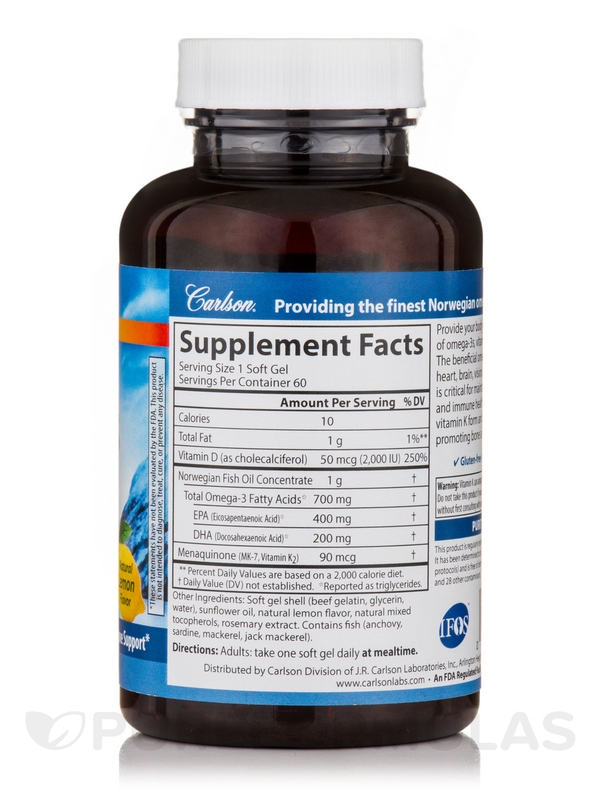 Cardiovascular Health - Bone Health - Immune Support! 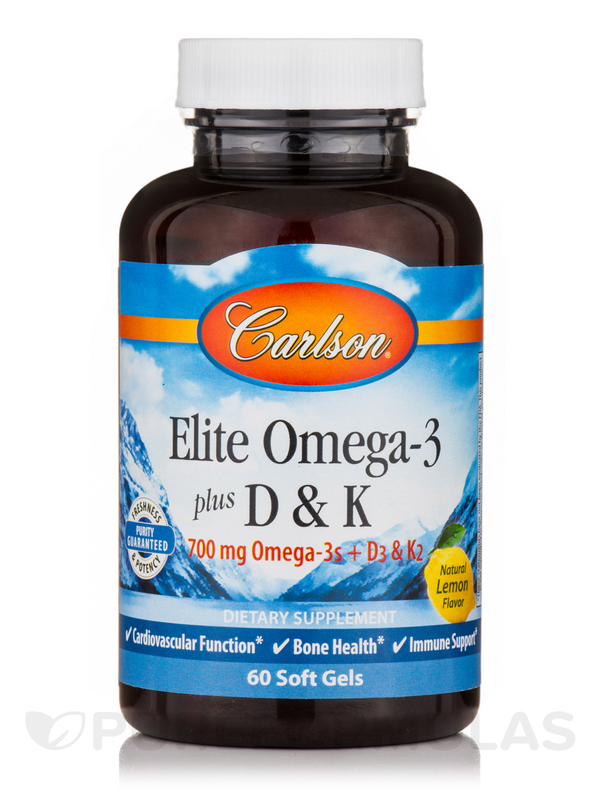 Provide your body with the powerful nutrient trio of Omega-3s‚ Vitamin D3‚ and Vitamin K2 as MK-7. 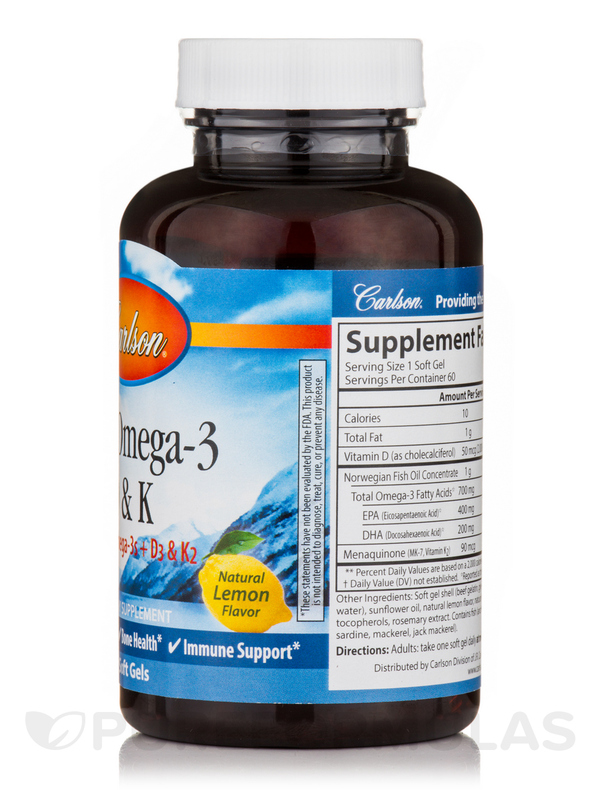 The beneficial omega-3s EPA and DHA support heart‚ brain‚ vision‚ and joint health. Vitamin D3 is critical for maintaining bone‚ teeth‚ muscle and immune health. 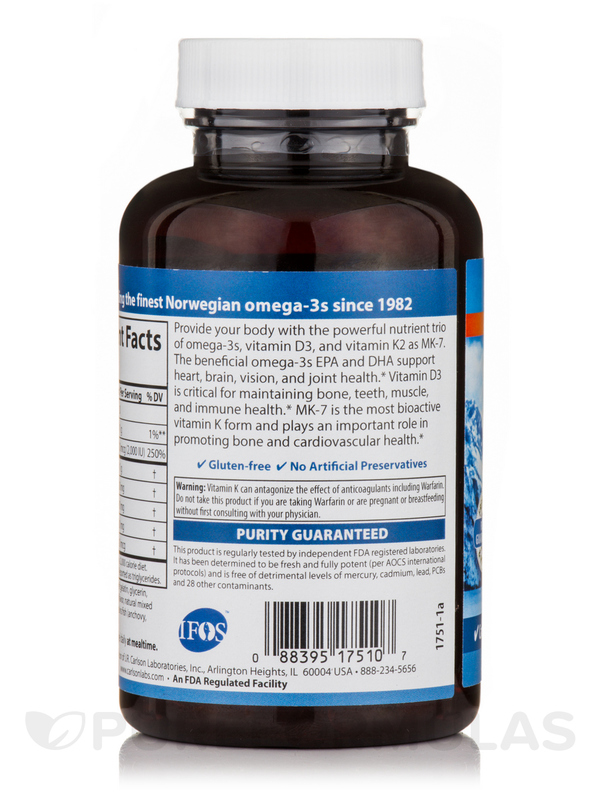 MK-7 is the most bioactive Vitamin K form and plays an important role in promoting bone and cardiovascular health. 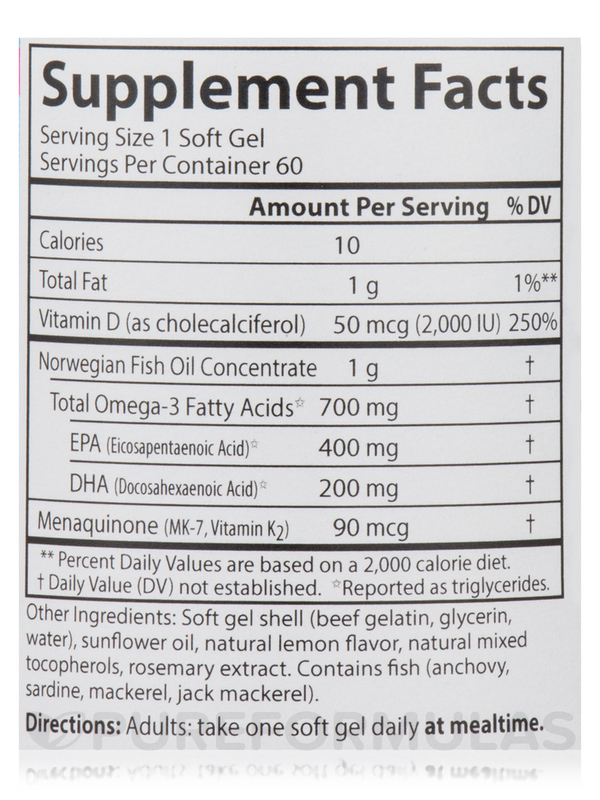 Other Ingredients: Soft gel shell (beef gelatin‚ glycerin‚ water)‚ sunflower oil‚ natural lemon flavor‚ natural mixed tocopherols‚ rosemary extract. Gluten-Free / No Artificial Preservatives. Vitamin K can antagonize the effect of anticoagulants including Warfarin. 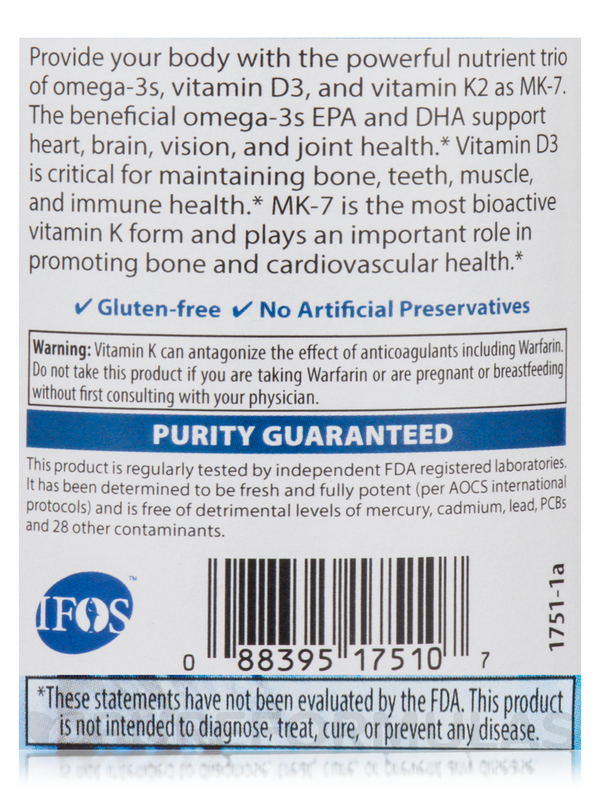 Do not take this product if you are taking Warfarin or are pregnant or breastfeeding without first consult with your physician.